Ripe and fresh grapefruit, with sweet notes of peach and tangy mangosteen. Bright and fresh, and one of our strongest fragrances! 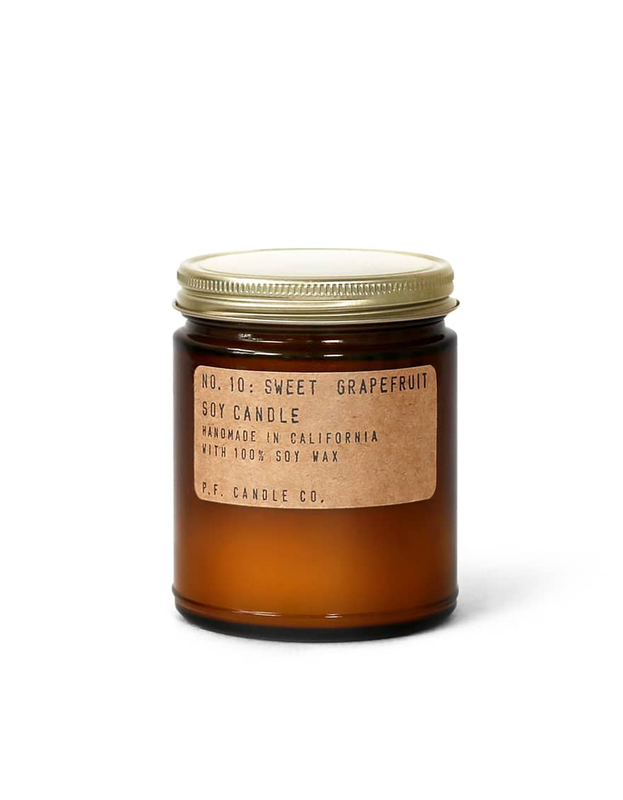 Top: peach, mangosteen, pink grapefruit, lemon zest, Heart: yuzu petals, orange, mandarin , Base: musk, teak. Hand poured into apothecary inspired amber jars.